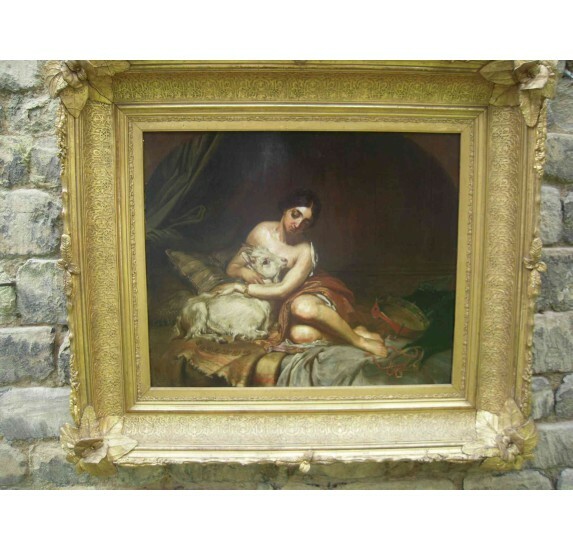 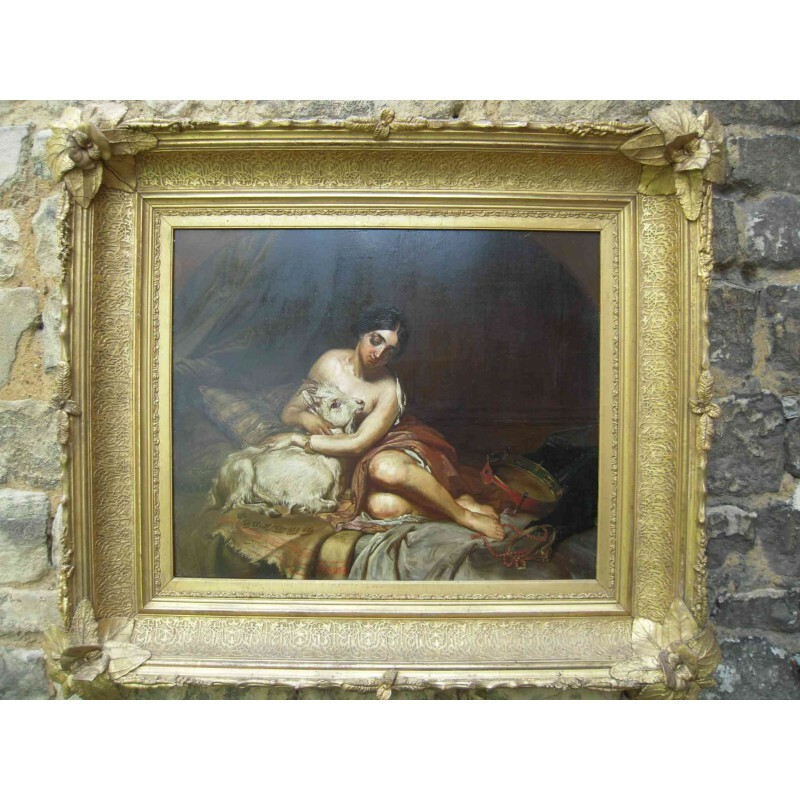 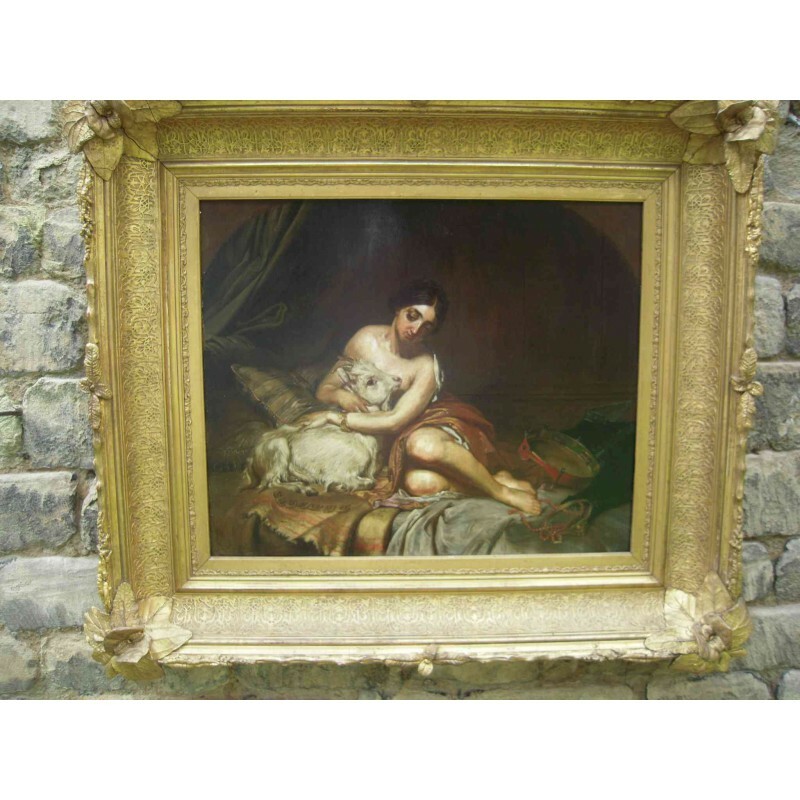 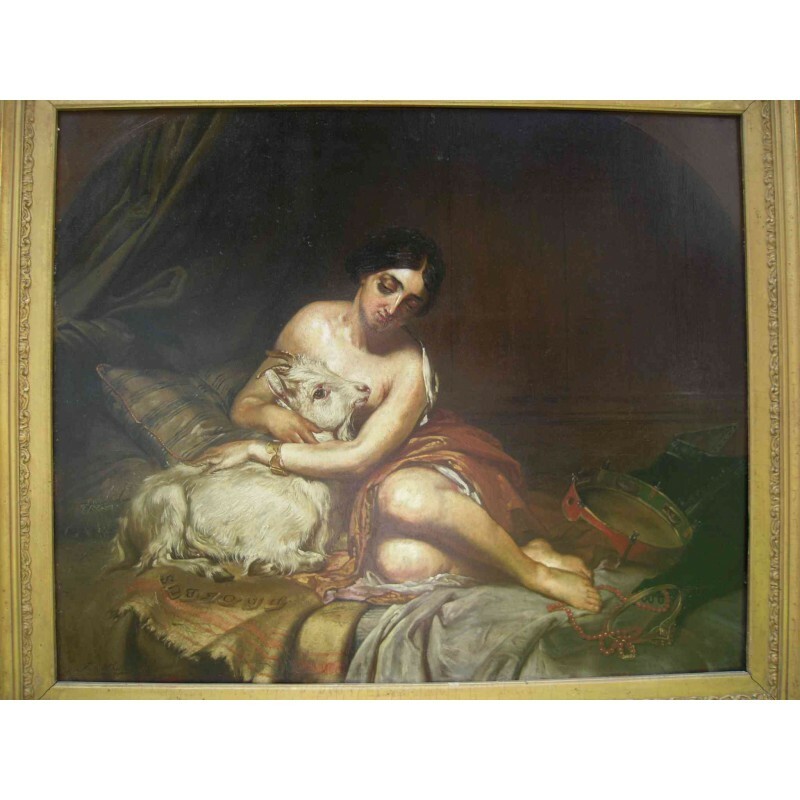 Oil on panel (mahogany) representing a young woman and a goat, sitting on a bed. 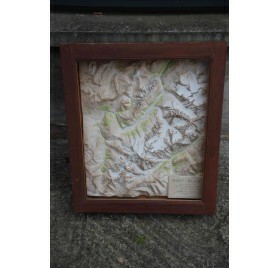 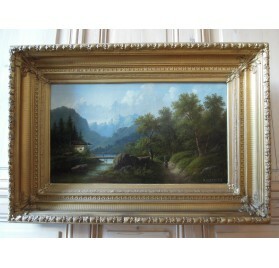 Signed in the lower left corner F. A. Philips. 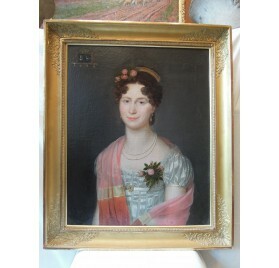 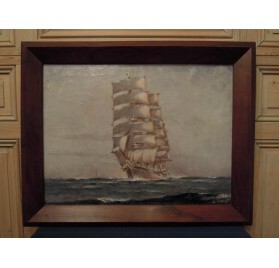 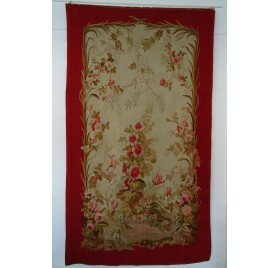 Beautiful orientalist frame, 19th century. 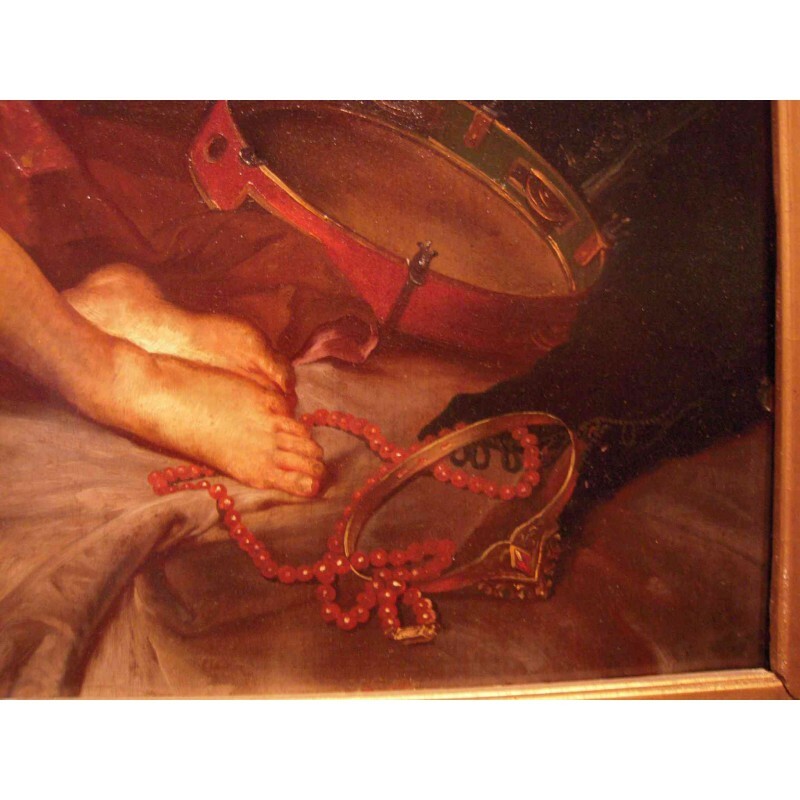 Fine oil on mahogany panel, depicting a young woman and a goat, sitting on a bed covered with shimmering fabrics, jewelry and a tambourine. The painting is signed lower left: FA Philips. 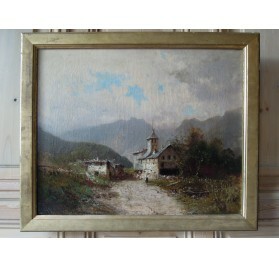 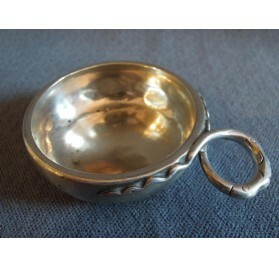 Work dating from the nineteenth century. 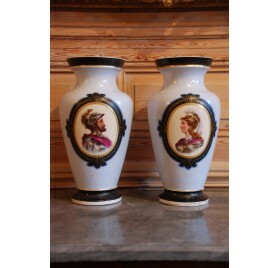 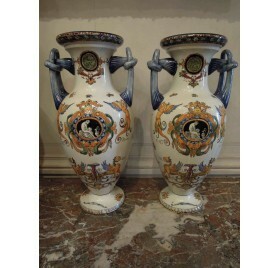 Pair of Gien faience vases with polychrome decoration on a cream background.Perfect condition, circa 1875. 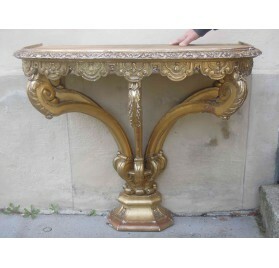 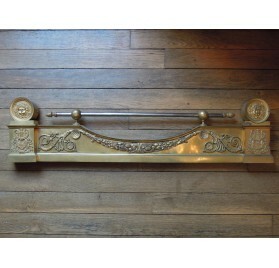 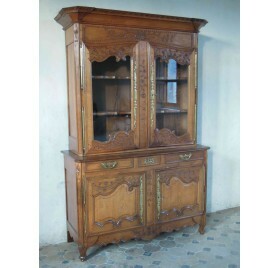 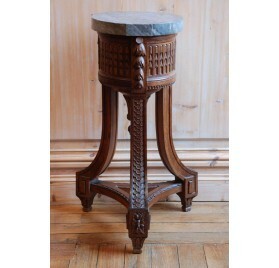 Sculpted mahogany column, Louis XVI style.Work dating from 19th century. 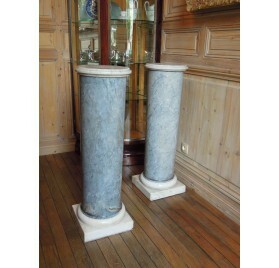 Pair of turquin blue marble columns, 19th c.
Pair of turquin blue marble columns.Bases and heads: white marble with moldings.Period: last third of the 19th century. 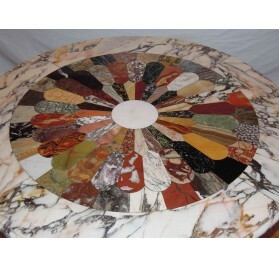 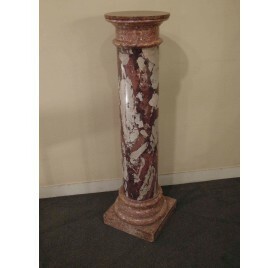 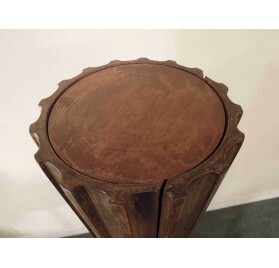 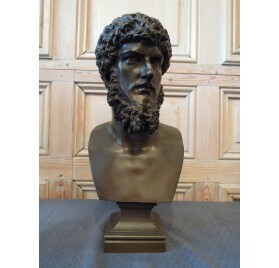 Terracotta column marble imitation.Marble base, terracotta barrel and resin top.Work from 19th century. 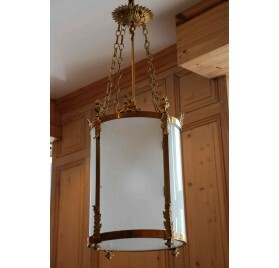 Large round lantern, Napoleon III period (end of 19th century).Frosted glass and gilt bronze mounts. 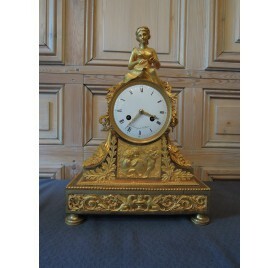 Gilt bronze clock with a summer allegory on top.The dial is signed Armingaud (Paris. 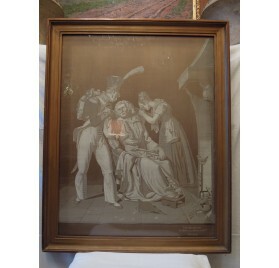 Rue Meslay, Bd de la Porte Saint-Martin, 1806-1813).Empire period. 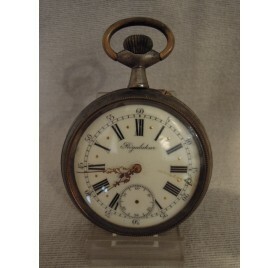 Steel regulator pocket watch, end of 19th c.
Steel regulator pocket watch.Enamel dial (accident) the second-hand is missing.Work of the end of the 19th century. 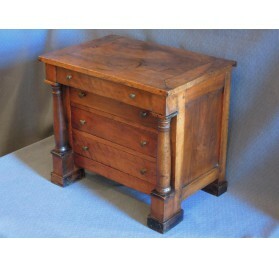 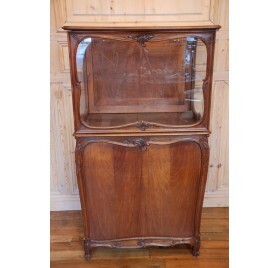 Miniature furniture : walnut chest of drawers with columns, mastery work.French Empire period. 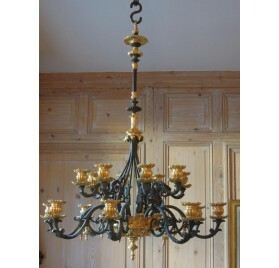 Bronze chandelier.1st half of 19th century (1830-1840). 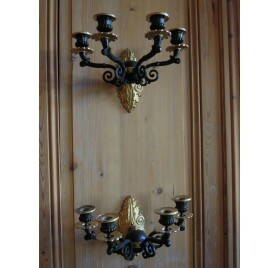 Pair of wall sconces, gilt bronze and black patina. 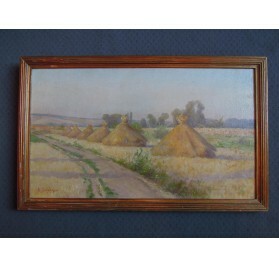 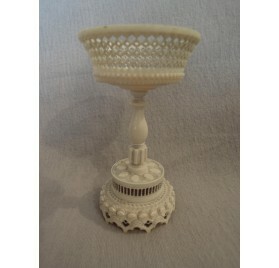 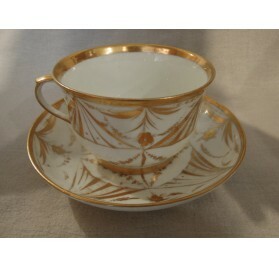 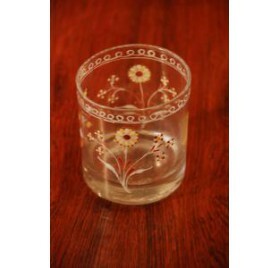 19th century work.